Just starting the engine and running it at the rated RPM is better than nothing at all, but you’re not building any horsepower. 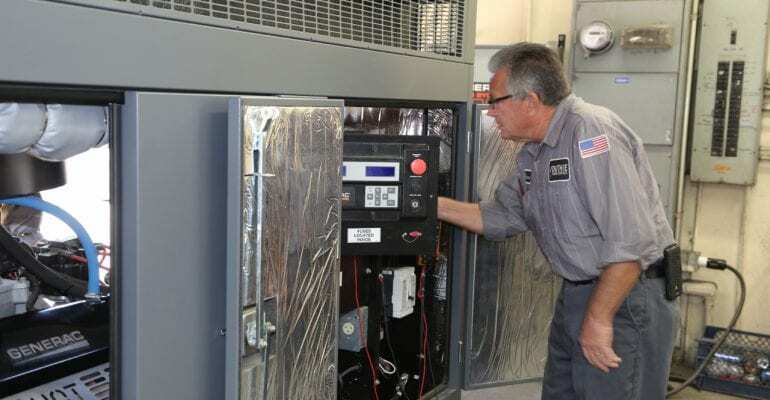 What you have to do is actually put a load on the generator, that requires the transfer switch to shift from normal power to emergency power. That will interrupt all emergency circuits momentary, but it’s the best way to exercise the engine. Wondering how often you should be exercising the engine on the generator? Visit this post to see what we recommend. At Duthie Power, we offer Load Bank testing as a service to your generator. To learn more about the details of what exactly a Load Bank does, you can visit this blog post and watch the video for more information. To schedule your next load bank test, visit www.duthiepower.com or give us a call at 1-800-899-3931.